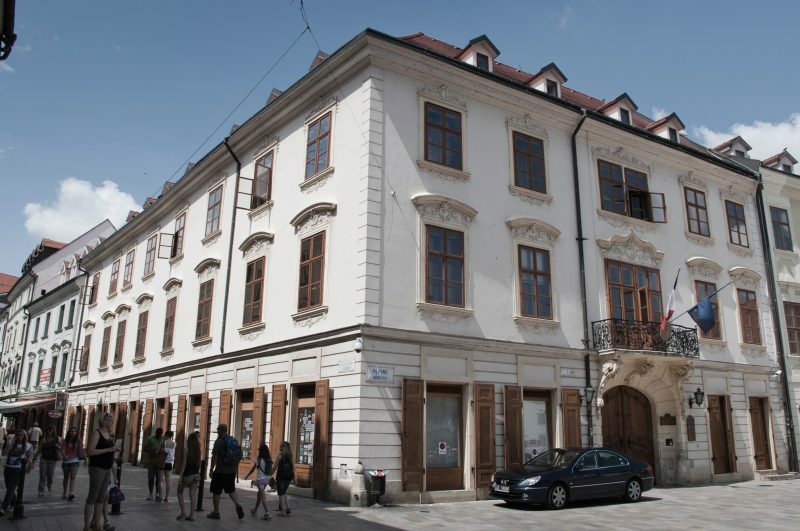 The smallest rococo palace in Bratislava. 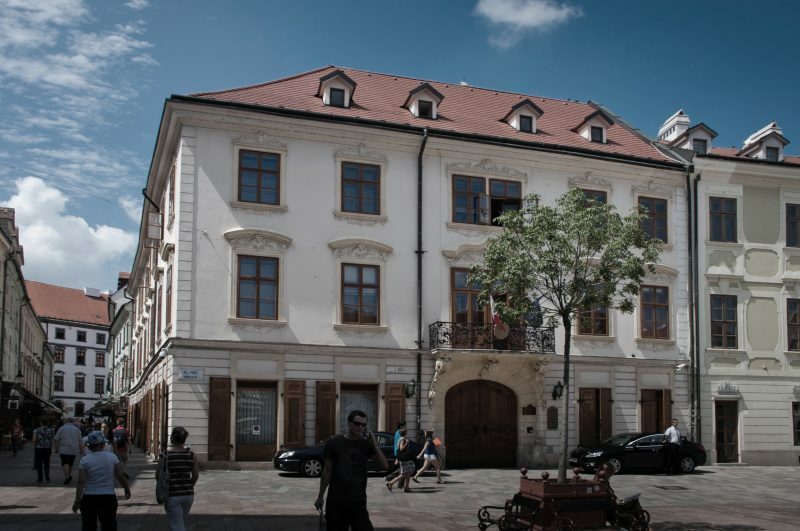 It was owned by the administrator of the royal property in Magyaróvár, Count L. von Kutschersfeld. 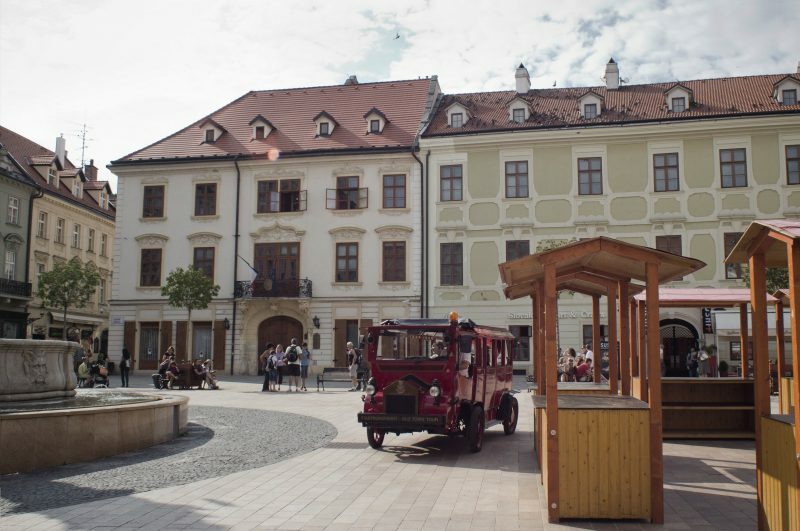 It was built in 1762 on the corner of the Main Square and Sedlárska Street. In 1847, A.G. Rubinstein, the famous Russian composer and pianist, lived and worked there. Since 1991, the palace has housed the French Embassy and the French Institute.